If you have never driven a Lotus, any Lotus, than those words might seem a little bit over the top, concerning a car. If you have never driven a Lotus, then I have pity and empathy for your automotive shortfall. 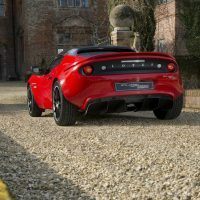 If you have driven a Lotus, then you know those words are, if anything, not even close to what the driving experience is like. 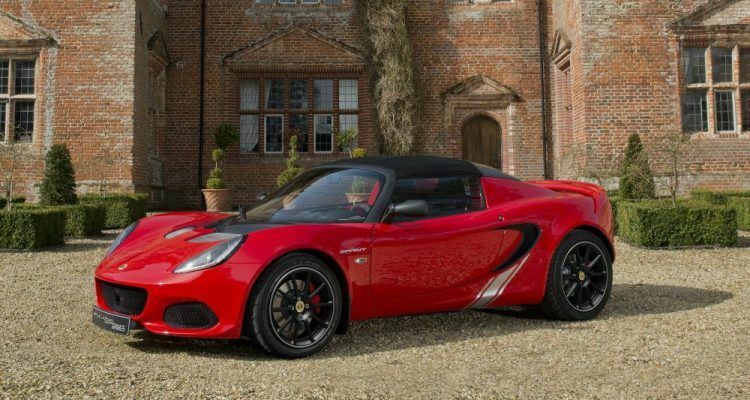 For some reason, I thought Lotus had stopped producing the Elise and moved on to focus on the Evora and Exige. More’s the pity, I thought, because an Elise is a fantastic car. Nimble and graceful are understatements. Its handling was near telepathic. Its braking was startlingly short and its overall grip was like a mollusk on a rock. 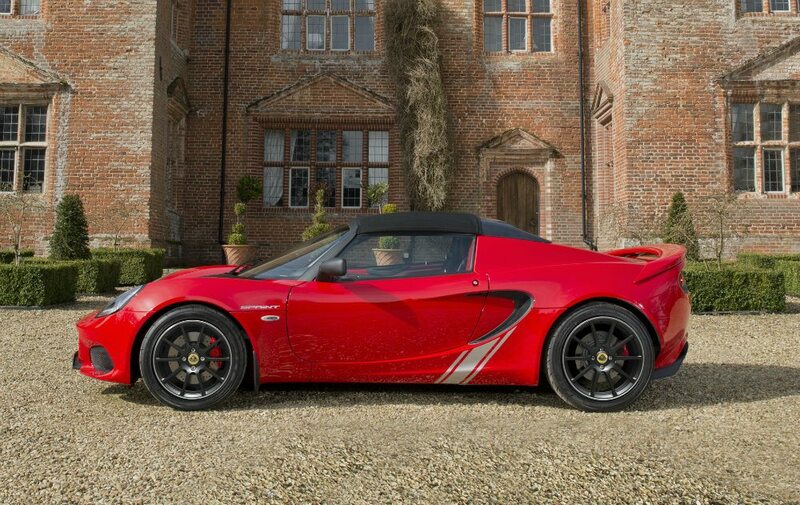 But no, Lotus is still making the Elise, and on top of that, they’re making a special edition that is even superior. Essentially the Hethel outfit has turned the most obsessive of its engineers loose on the little beasty, and they’ve gone after anything that can save weight with a meat-axe. 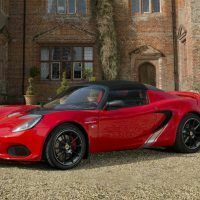 The “normal” Elise already tips the scales at not much more than 800 kilos, but the new Elise Sprint weighs in at 789 kilos, or around 1,700 pounds, dry. That means at the curb, this thing weighs a lot less than a first gen Miata, and it’s mid-engined and it puts out more power. The Elise Sprint is available with either a 1.6-liter naturally aspirated engine or a 1.8-liter supercharged plant. I will not insult your intelligence by telling you what engine you should desire, but just in case you’re rather slow on the uptake, I’ll just give you a suggestion: Get the “big” block with the blower you primate. Now, about that whole weight savings/meat-axe thing. During development of the Lotus Elise Sprint, balancing the aerodynamic downforce across the entire car was paramount. One example comes with the rubber elements mounted on the flat underside and ahead of the front wheel, together with an additional diffuser vane at the rear. They help modify airflow under the car to reduce drag and increase stability. Photo: Group Lotus plc. The Sprint’s standard lightweight components consist of a Lithium-Ion battery that shaves off 9 kg, bespoke carbon race seats that cut 6 kg, and new lightweight forged alloy wheels that trim off an important 5 kg of valuable, unsprung weight. The carbon access panel, roll hoop cover and engine cover, and polycarbonate rear window chop off 6 kg. Overall, that’s an impressive 26 kg, compared to the earlier Sport and Sport 220 models, and both of those were already featherweight cars to begin with. Other weight saving measures are found in the new, optional two-piece brake discs, which axe 4 kg, again of unsprung weight. 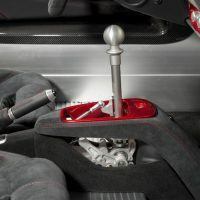 There are optional carbon sill covers which subtract 0.8 kg, which is fairly insignificant, but it does show us just how fanatically committed Lotus can be. So you go bonkers with a weight loss program, but what does it get you? Bring your stopwatch down to the track, and the results speak for themselves. 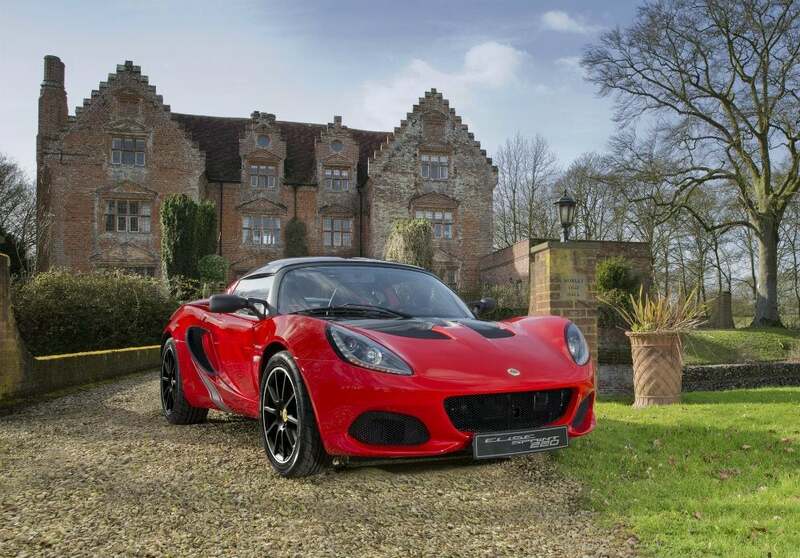 The Elise Sprint does 0-60 in 5.9 seconds and the Elise Sprint 220 does it in 4.1 seconds. 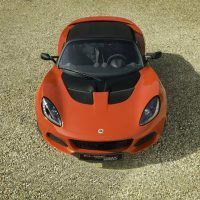 Harder cornering, natch, and a power to weight ratio of 168 horsepower per tonne for the Elise Sprint, and 257 horsepower per tonne for the Elise Sprint 220. By the by, “tonne” is a British term but it also means the same as a metric tonne, or 2,200 pounds. So that all important ratio gets even better if’n ya calculate it out in American cypherin’. Bottom line: Champagne levels of performance at a (good) beer price. 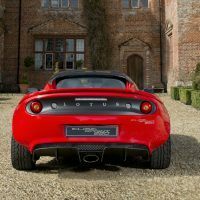 The new Elise features the same suspension setup as before, with a fully independent double wishbone suspension and a front anti-roll bar, coupled with Bilstein high-performance gas dampers and Eibach coaxial coil springs, front and rear. Photo: Group Lotus plc. 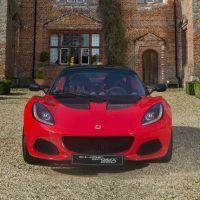 Lotus says “the 1.8-liter supercharged Elise is the best-sounding 4-cylinder car on the market,” but, A) that’s subjective, and B) does Alfa still make fours? Cause if they do, Lotus is everso wrong in that statement. Visually you can tell the Elise Sprint from the matte black transom panel, black wheels which come with custom contrasting metal spun rims, distinct yet understated side stripes on the bodywork, and unique side and rear badging. If you’re not driving a Lotus, you’ll be seeing that rear badging more than anything else. There are also color-keyed inserts for the sports seats, transmission console, and HVAC surround, along with Sprint badge stitching. There’s more detail inside the Elise Sprint with a selection of optional Alcantara trim panels on the doors, sills, seats, and vent surrounds, all with contrasting stitching. “Enhanced by less weight, the Elise now provides even more driving purity, greater agility, and higher all-round performance. As we say at Hethel: less weight equals more Lotus,” rejoiced Jean-Marc Gales, CEO, Group Lotus plc. 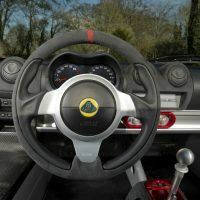 So if you can get your hands on a Lotus Elise Sprint, do so. I hate to advocate speed, handling, braking, or vehicular insanity to anyone, but they’ve always worked for me. Photos & Source: Group Lotus plc. 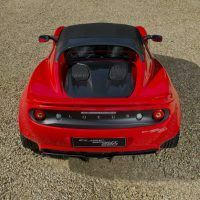 No Comments on "Lotus Elise Sprint: Less Mass Means More"